We’ve been tardy, Fresh Grit fans. Tardy. It’s been a busy few weeks of travelling on the grit.cx private jet, and we have taken our eyes off the ball. Fear not though. After a hiatus, we are back with the shiniest of the fresh produce once more. Before we get on to that though, #crossiscoming became #crossishere became #crossishappeningrightnow while we were away. Not only is this the case, but it is already 3 Peaks CX weekend. Tech Ed Tom is secretly pleased that he didn’t get ‘lucky’ in the lottery this year, but will be there to heckle cheer Chipps (check out his new Cannondale Super X test bike below) and Beate, grit.cx testers Beth (on her Specialized CruX Elite X1 test bike) and Stu (on his Sonder Camino Al – see below again) and many others on the slopes of Pen-y-ghent. Hopefully none of them suffer the fate of poor Ian during the 2012 edition of the race. Let’s face it. No matter how fervent your passion for ‘cross is, there are times during winter when we’d all rather curl up with a brew, a book and a log fire. Rainbows in the Mud has come along at the perfect time, fuelling our ‘cross fervour, but allowing us to indulge in some guilt free sofa hours. According to the blurb, Paul Maunder “spends a season soaking up the sport’s rich culture and history, and mixing with the obsessive fans, celebrity riders, and old-fashioned patriarchs of the sport. Following the riders – novices, veterans, American, British – as they slog their way through the season, he captures the spirit of this flamboyant cult sport, and paints a picture so vibrant you can almost feel the mud under your feet and taste the beer, mulled wine and frites.” Sounds like a tough gig, but we look forward to reading all about it. 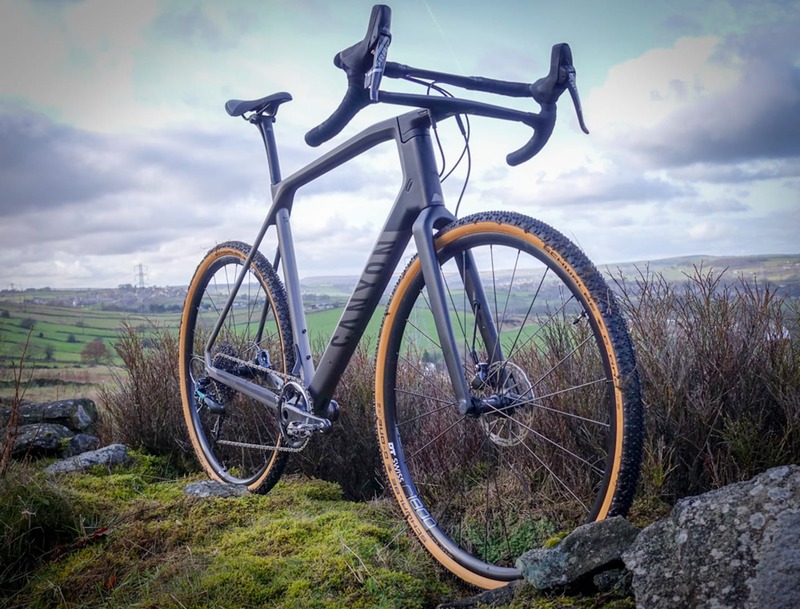 Last year, Tom tested the Sonder Camino Ti. It is a great bike, and Tom loved the ride. Titanium isn’t the cheapest material choice though, so Alpkit’s bike brand have brought out an aluminium version of the frameset. 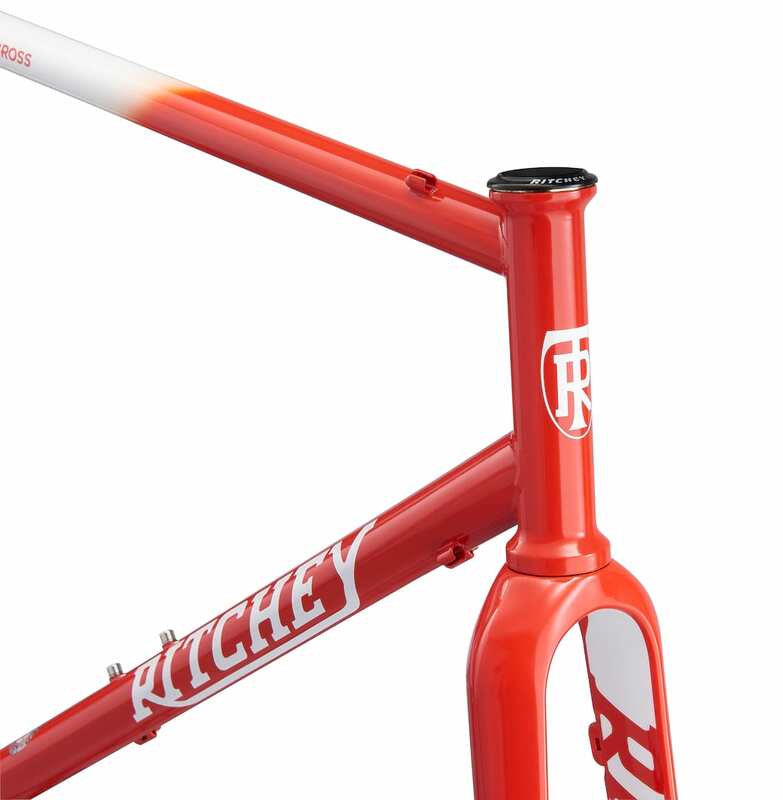 It is available as just frame and forks for £300, or full builds starting at £749. This is the SRAM Apex1 Hydro version, which sits towards the top of the range. It will be put through its paces this weekend and beyond by tester Stu Taylor. We’ll take a full first look in due course. Price – $10.95 for 5 gels or 4 waffles. Bigger bundles available. Jet-setting tester Beth Hodge returned from the States with a bumper bundle of these bad boys. Somehow she managed to hold back from eating all of them before visiting grit.cx’s northern HQ. The brainchild of former road pro, Ted King, Untapped uses New England maple syrup in its recipes. Here he is explaining the story. They don’t currently have a UK distributor, but do offer international shipping on their website. We love the local bike shop here at grit.cx. Not just our own local bike shop, though, but all local bike shops. There’s some thing wonderful about walking into a shop anywhere in the country, anywhere in the world and smell the same bike-shop-smells of grease and coffee, and here people speaking the same language, regardless of the actual language. Do you speak Bike? With a few hours to kill between spending a great few days with Bombtrack Cycles (more on that later next week) and a flight from Düsseldorf airport, Tom had the pleasure of sipping coffee and checking vintage bike frames in this coffee-come-bike shop near the centre of the city. It’s a long shot, but if you are ever at a loose end with time to kill in the seventh most populous city of Germany, then do call by. In the mean time, pop down to your own LBS, because #theinternetcantfixyourbike. Oh – wondering what schicke mütze actually means? Fancy cap. And fancy it is. Chipps has selected a new ‘cross bike for this season’s duties, including rattling around the 3 Peaks. He’s gone with Cannondale’s SuperX. It features a full carbon frame and fork (the CAADX is available for those who prefer their frames to be made out of metal), and this particular model is the second test bike this week to be decked out in SRAM’s entry level full-hydro Apex group/brakeset. We’ll do a full first look in due course, but here’s some photos before Chipps gets the thing all dirty. Keen Yorkshire CX fans will recognise that particular cobbled climb. That toptube is going to be sitting on Chipps’ shoulder a lot this weekend. We usually use bike-mounted GPS computers here at grit.cx. There are times, however, when a watch might be preferable. If you *looks around and hushes voice* partake in other sports, like running you may want a single GPS device to record all your activities. Or, you might simply prefer to not have to remember to swap computers between multiple bikes and use a GPS that is always with you. The Adventurer is TomTom’s top end multisport watch. As well as running and cycling it also has swimming, hiking, snow sports and indoor cycling modes amongst others. It is also capable of storing routes and displaying a simple trail on screen. There’s no mapping as such, so it’s more a case of staying on the line. To supplement GPS recording, the adventurer also uses an optical heart rate monitor in the watch (no chest strap required) and a barometric altimeter. Should you wish to mount the watch to your bars, a separate mount is available, or you could always use a bit of pipe lagging. As well as recording your rides, the watch will also do daily step counts and sleep monitoring. There’s even 3GB of music storage and playing (only compatible with Bluetooth headphones). Finally, it plays nicely with the TomTom Sports app. We’ll report back once we have a feel for longevity, but so far, Tom has used the Adventurer to record both runs and rides and is becoming a little too obsessed with his daily step count. And on that note, it is probably time to get up from the desk make some steps to the kettle, open a fresh pack of biscuits and replace the calories burnt while rattling off these words. Have a great weekend, folk. For the more sensible amongst you, enjoy a relaxing weekend. For those that are doing the 3 Peaks, good luck.